It’s about finding the best ways to accomplish your business tasks and reach your business goals. Not just the latest way, or the fastest way. It’s about being more efficient and more effective. So I was excited when Northside Media Group, Dell, and Intel announced a partnership during National Small Business Week to celebrate and support emerging innovation for small businesses, startups, and entrepreneurs. Even with social media, sometimes the better way is to gather locally, in person. Discuss trends and ideas, and share challenges related to ever-changing industries, with technology at the core of the conversation. 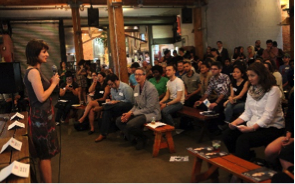 On May 4, the Northside Small Business Innovation Meetups started an ongoing discussion series with the startup, small business, and tech communities of New York, Chicago, and Miami. The series continues through January 2016, but not all dates have been announced, so follow @InnovatorInside for updates on dates and venues, as well as event coverage, videos, and more. The partnership continues this week at the Northside Innovation Conference, June 11-12 in Brooklyn, NY, part of Northside Festival, which runs June 8-14. If you’re able to attend, make sure to stop by the Dell Innovators Lounge at Brooklyn Brewery. Check out the great speakers and topics, including “Interactive Design and the Tyranny of the Keyboard-Mouse Setup” by James Patten of Patten Studios. James will share his approach to changing the way people think about computers by creating innovative alternatives to the most basic and well-established understanding of how computers operate. He should know: Working with Milk Studios, his studio developed a truly innovative experience for visitors to our booth at CES 2015. 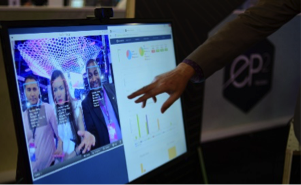 Using Intel RealSense 3D cameras, he captured live 3D video of conference attendees and processed large amounts of data to render generative figures in real time. 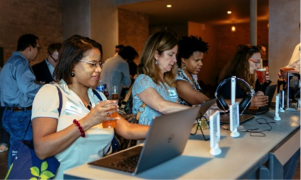 So swing by Brooklyn Brewery for a sunny pale ale, check out the great lineup of speakers and topics, and while you’re there, check out the Dell Latitude 7000 as well. It’s a great example of real innovation that can help your small or growing business.